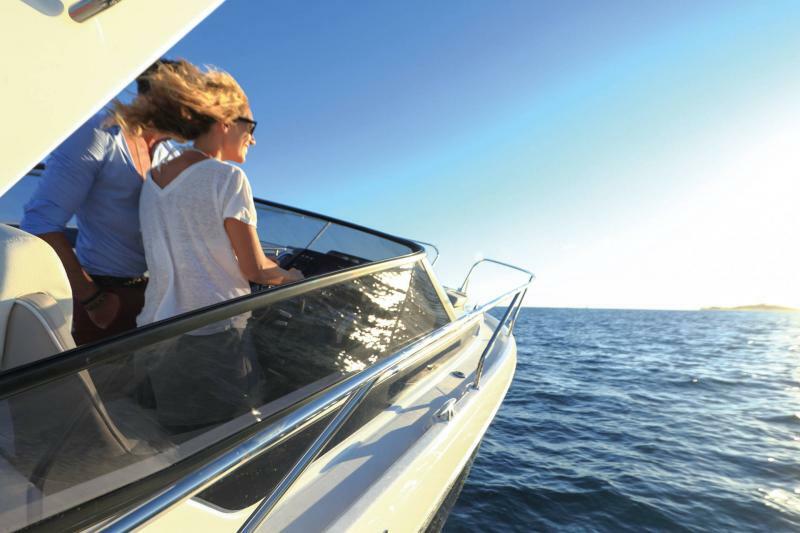 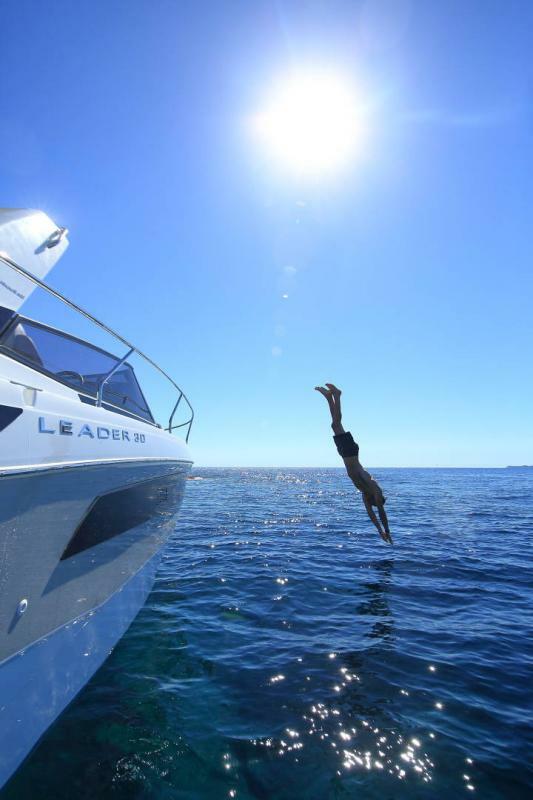 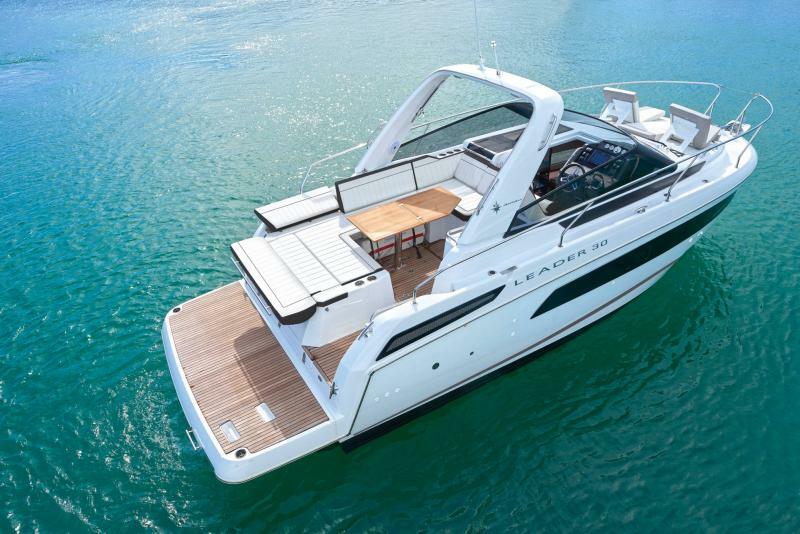 With her sporty hull and elongated profile, she features excellent performance and seakeeping abilities, all while benefiting from the latest innovations. 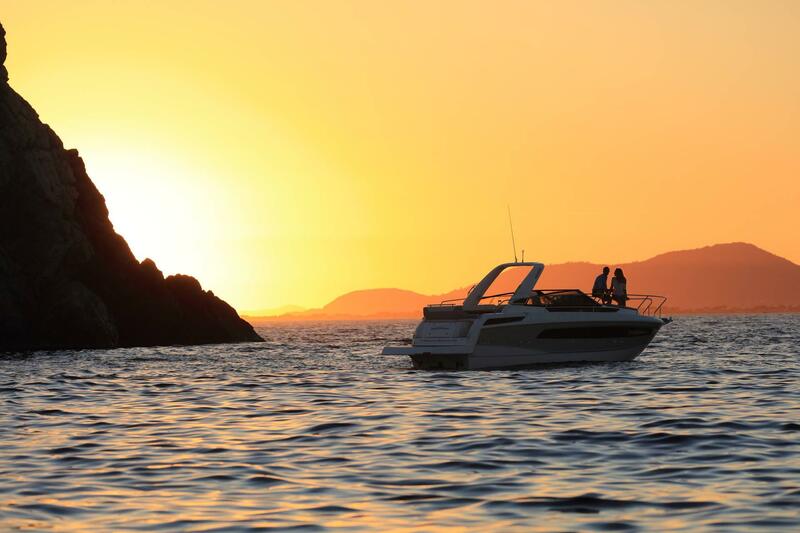 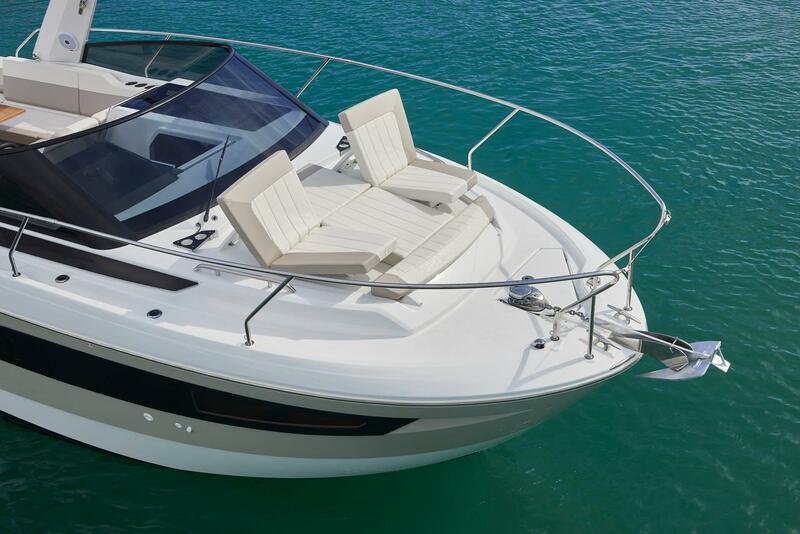 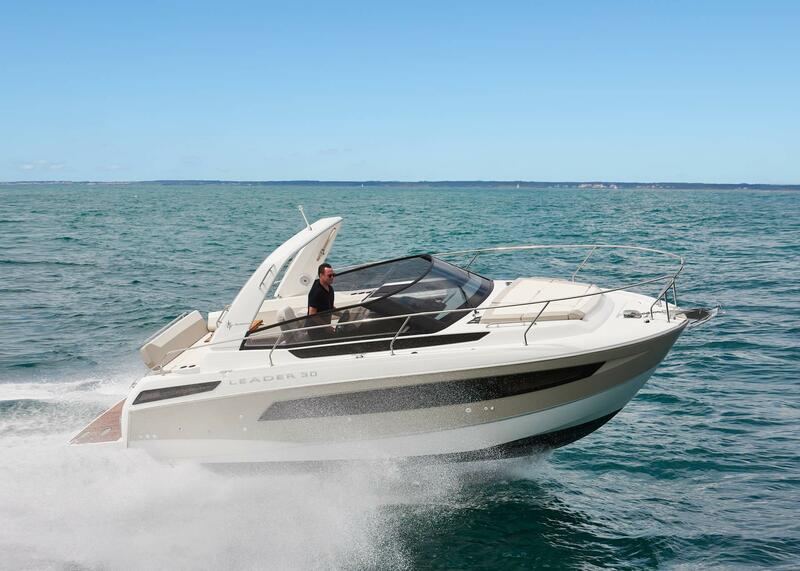 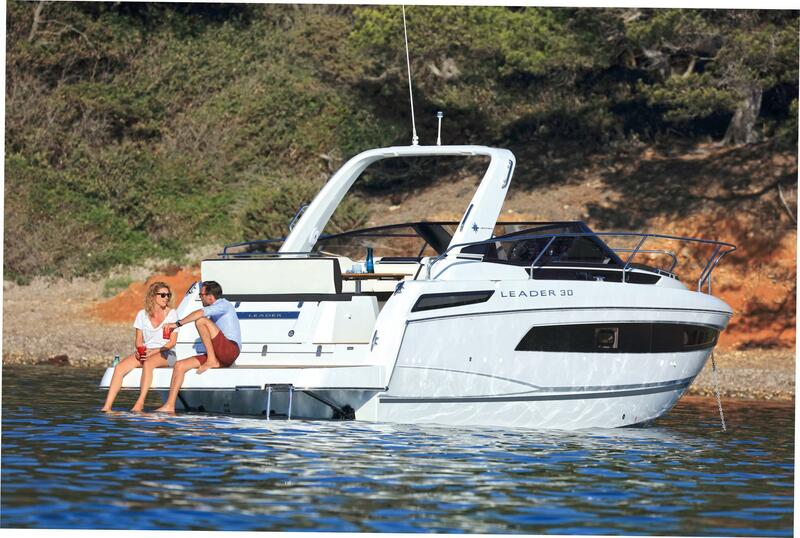 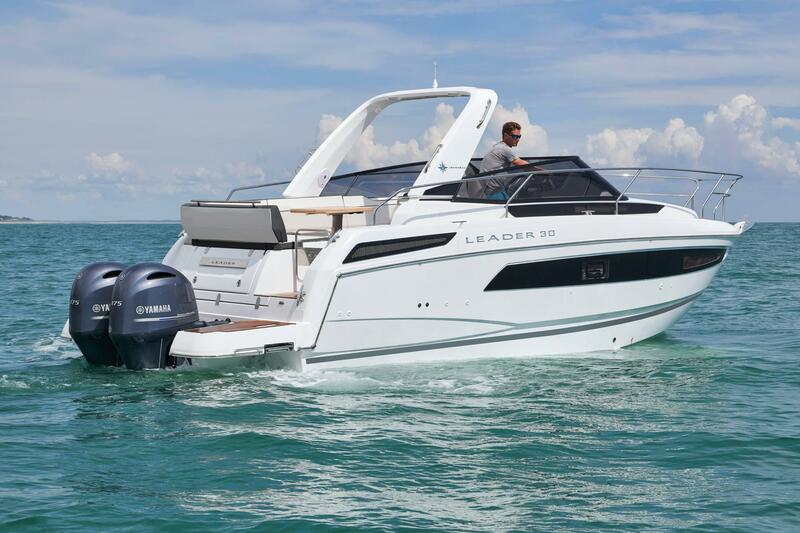 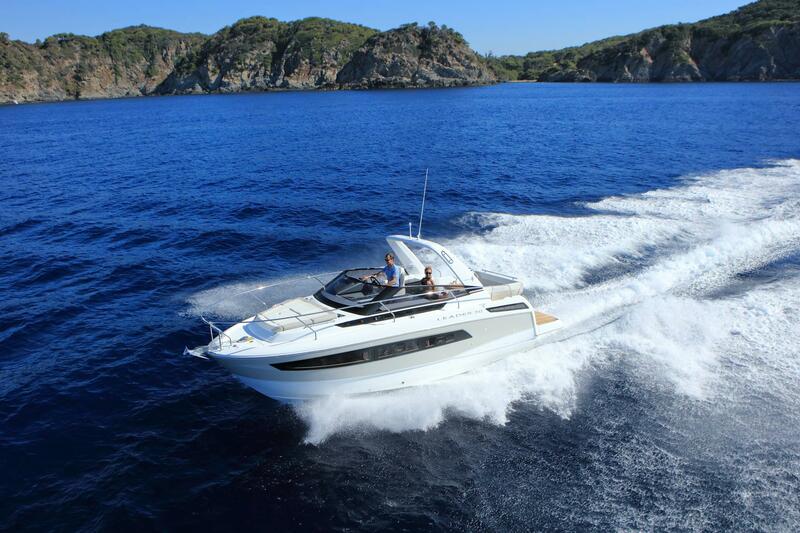 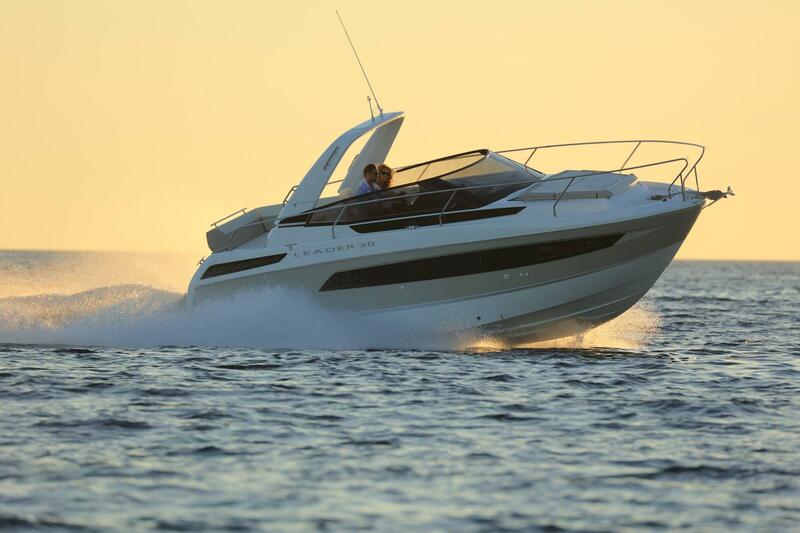 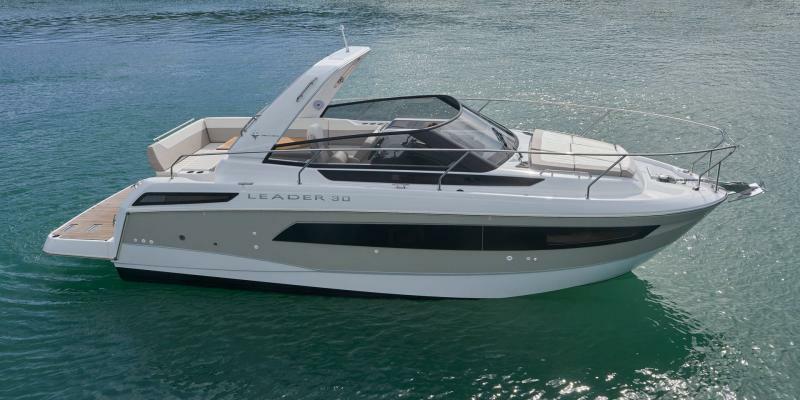 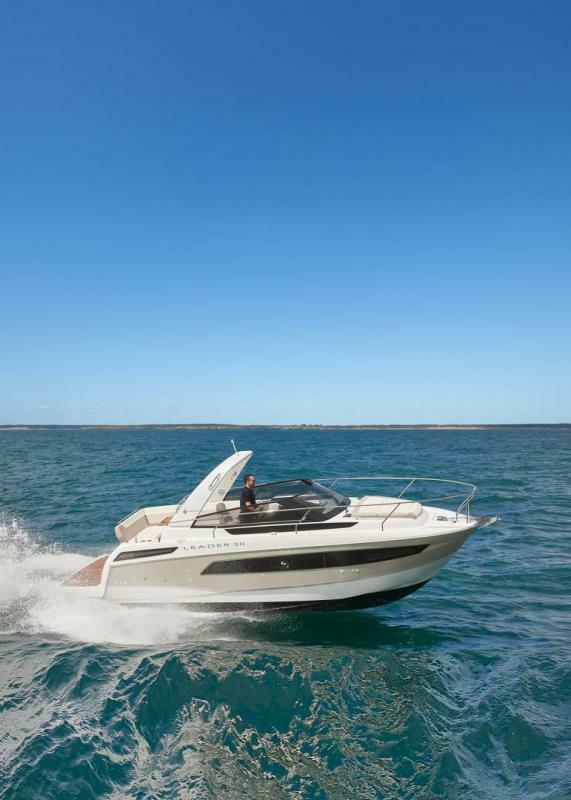 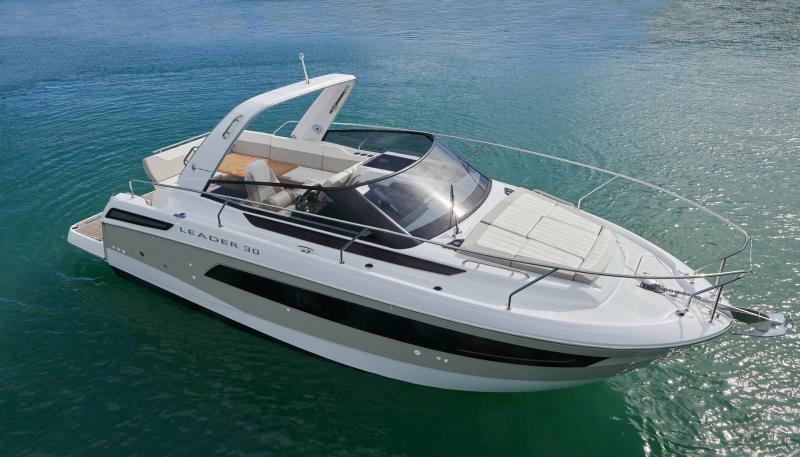 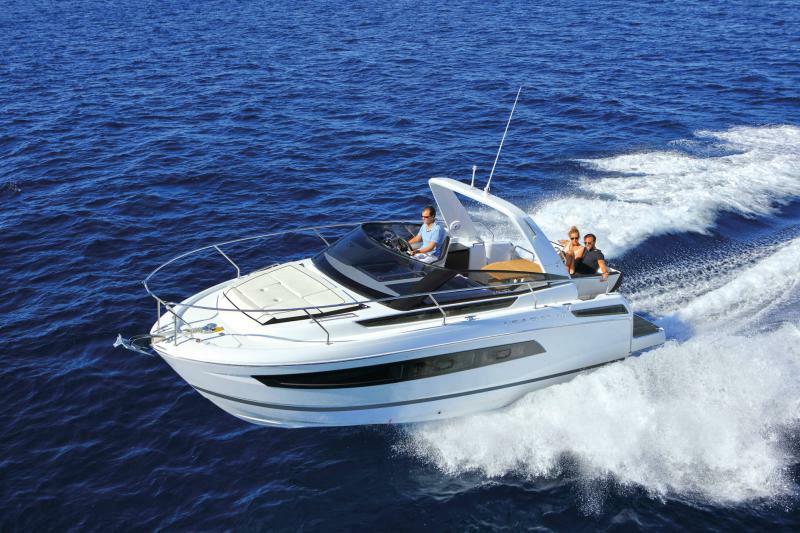 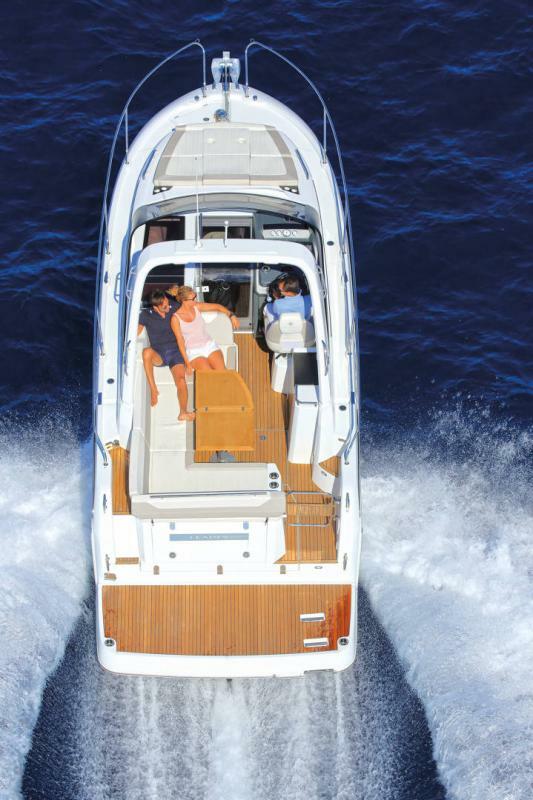 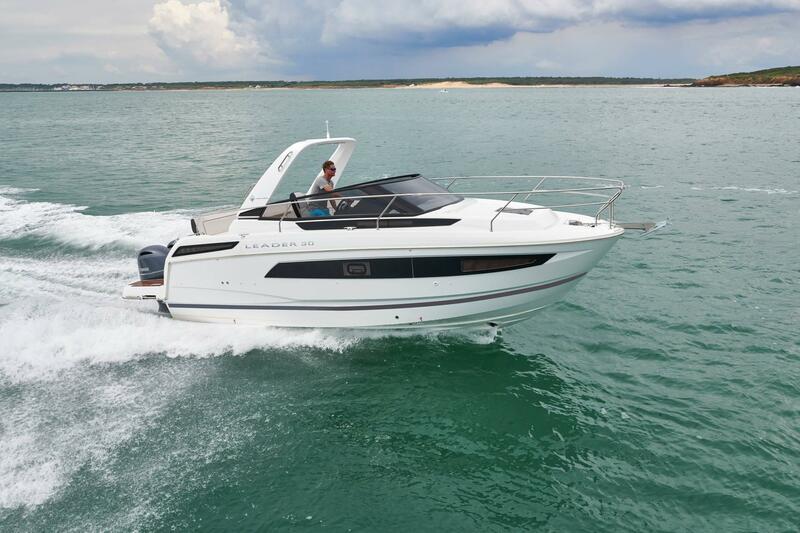 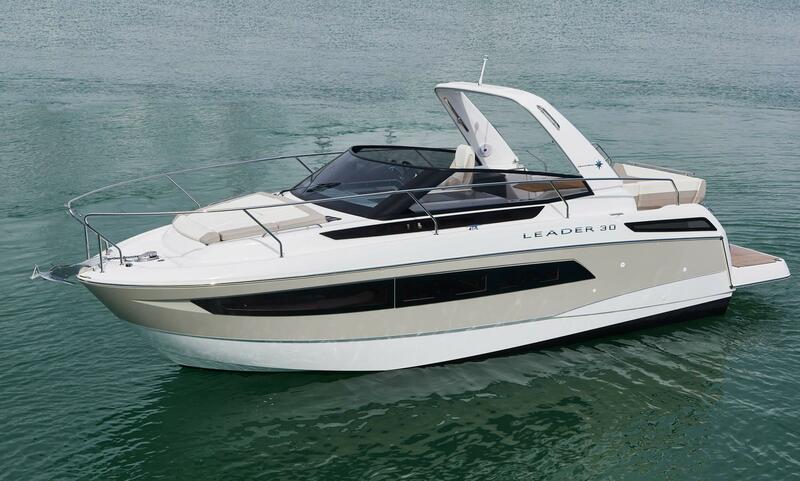 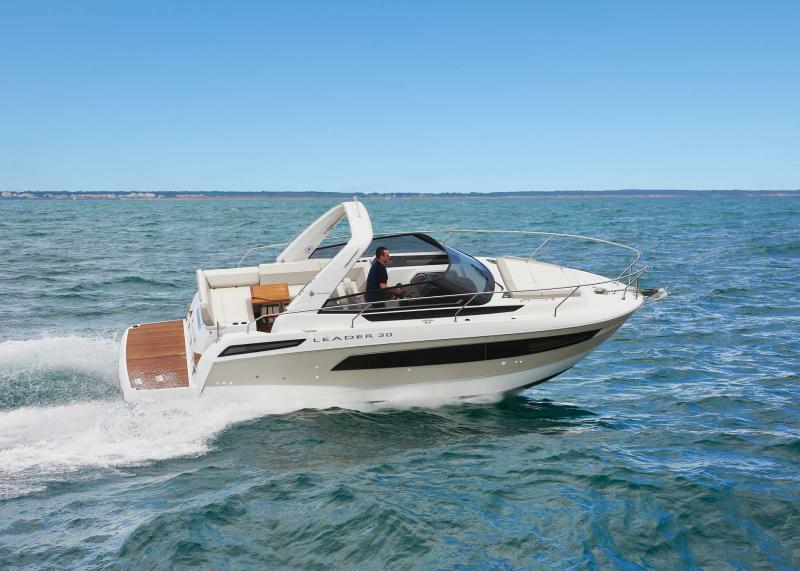 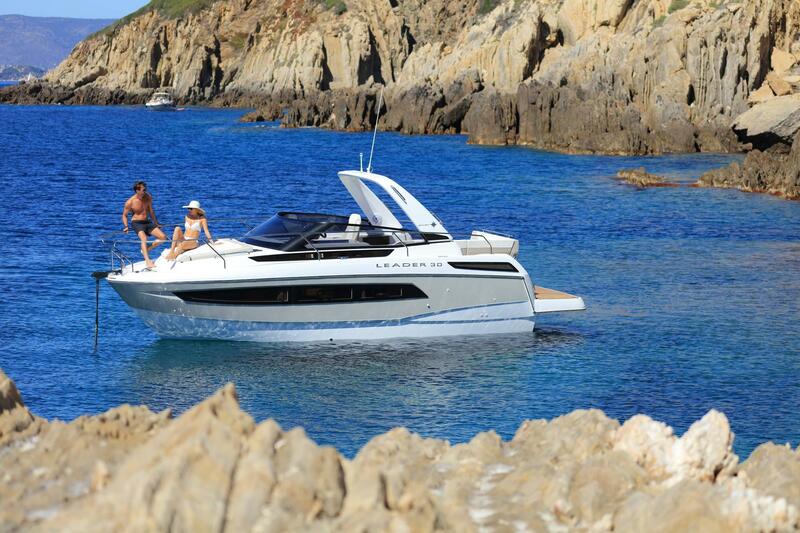 Perfect for day trips, the Leader 30 cleverly combines a bright interior, comfort and performance. 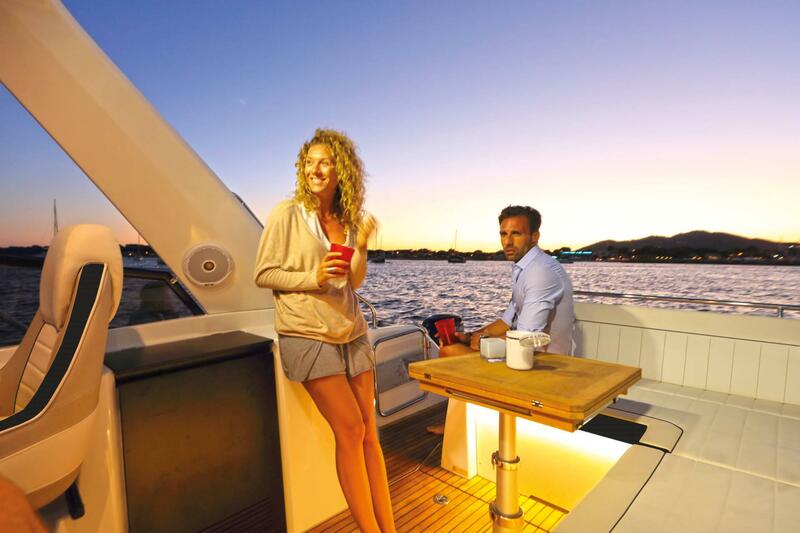 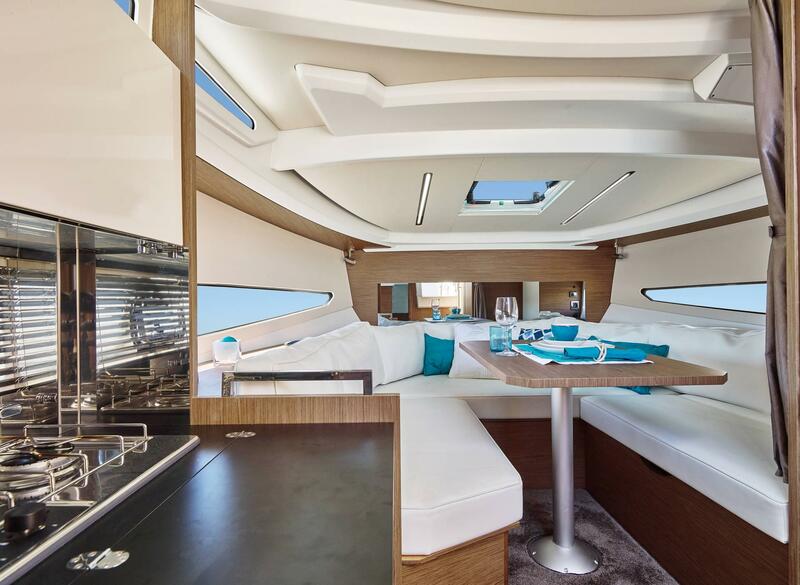 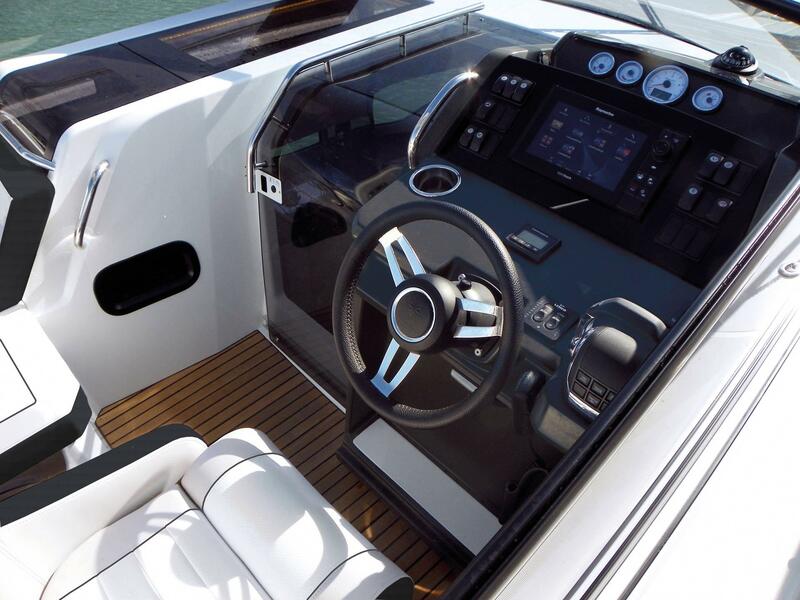 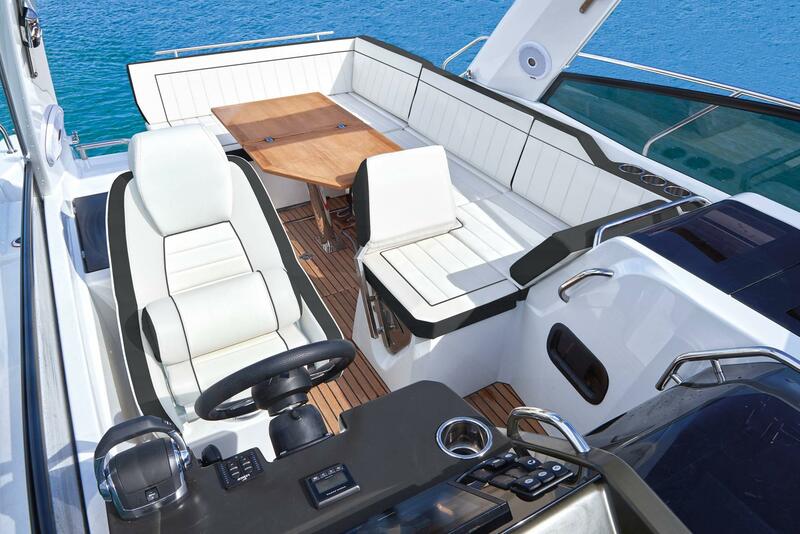 With her luxurious contemporary design, the cockpit offers a carefully studied layout for enhanced comfort and quality of life on board. 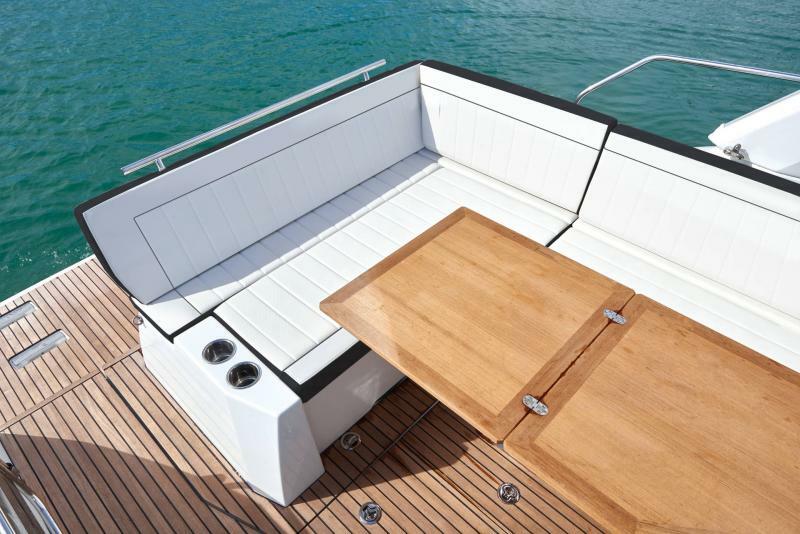 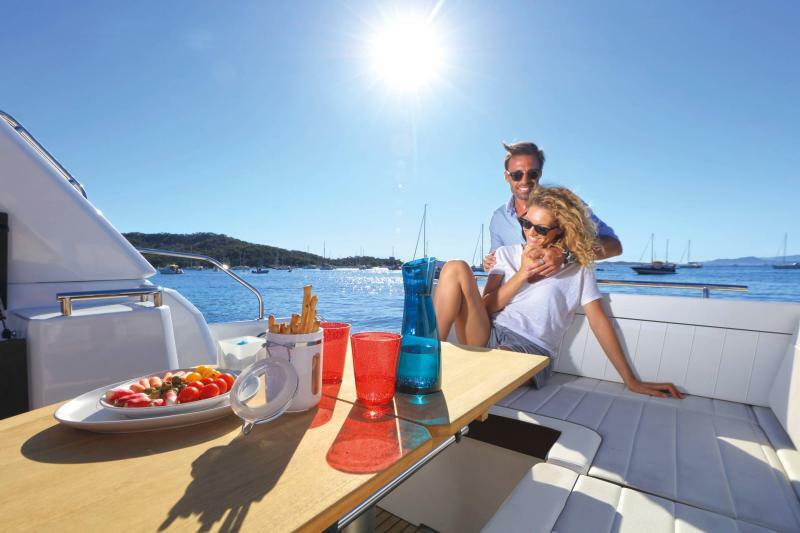 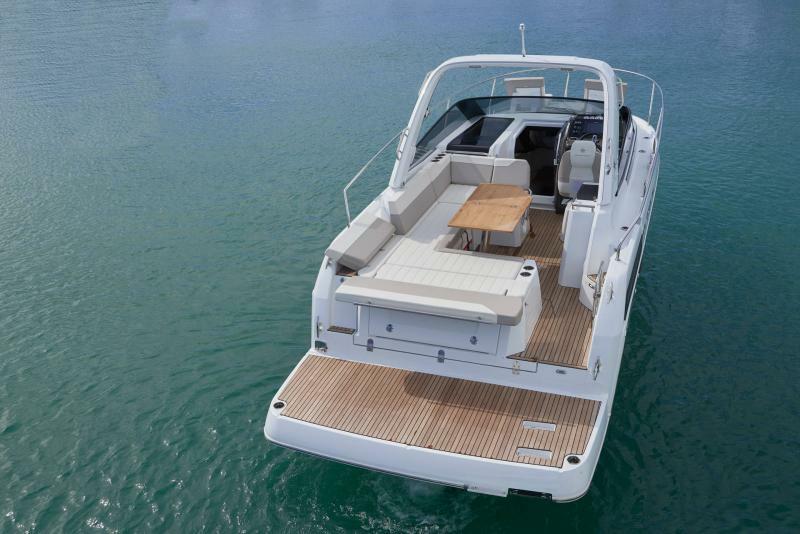 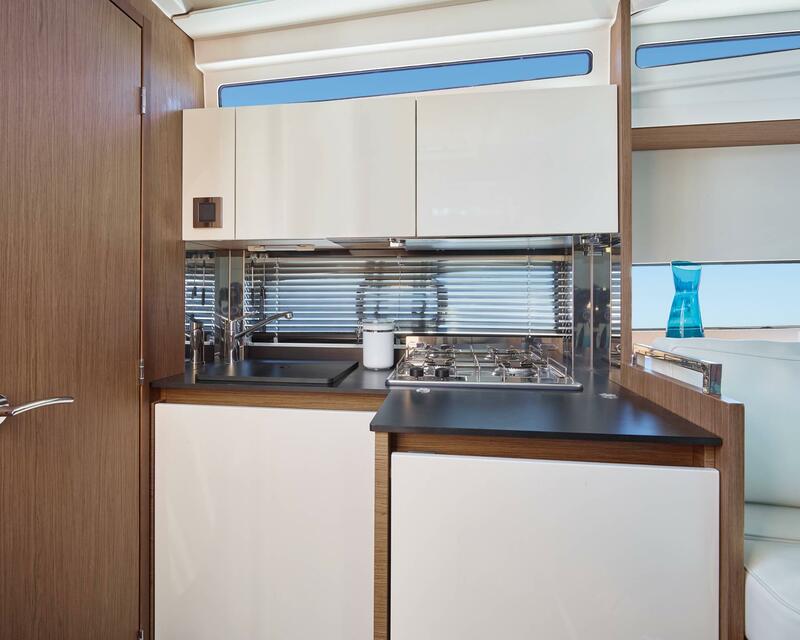 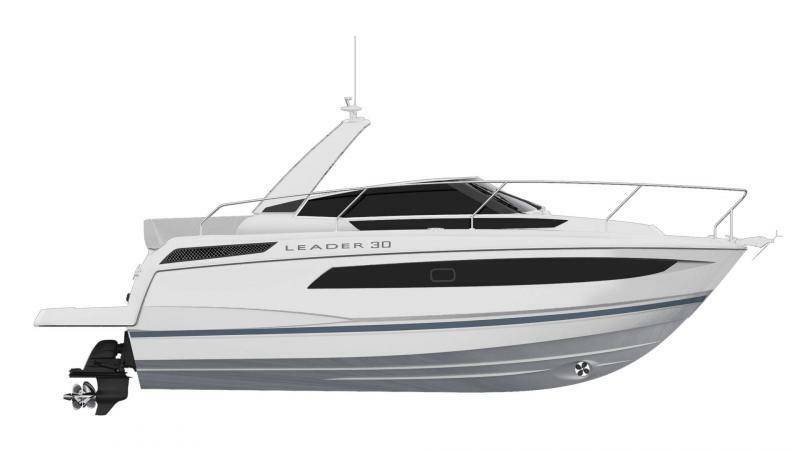 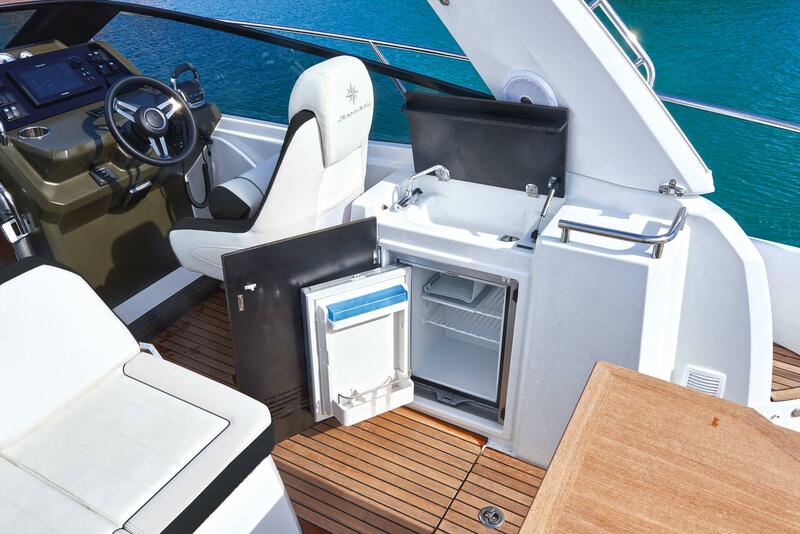 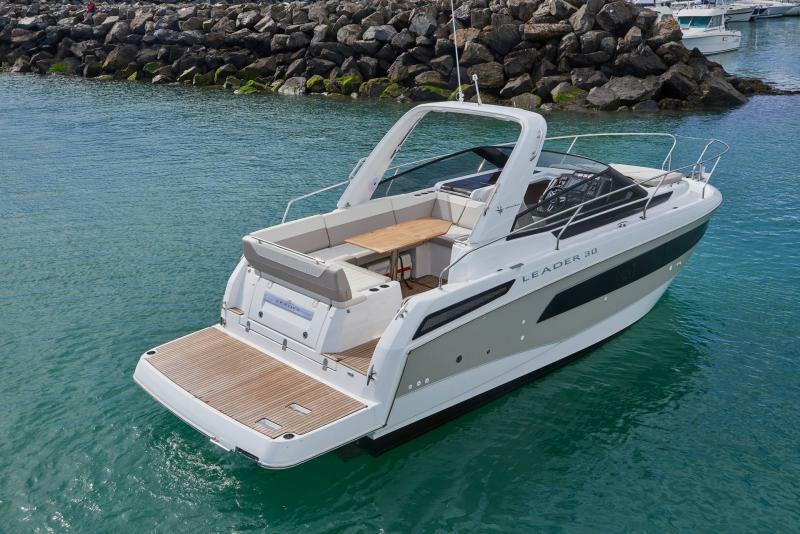 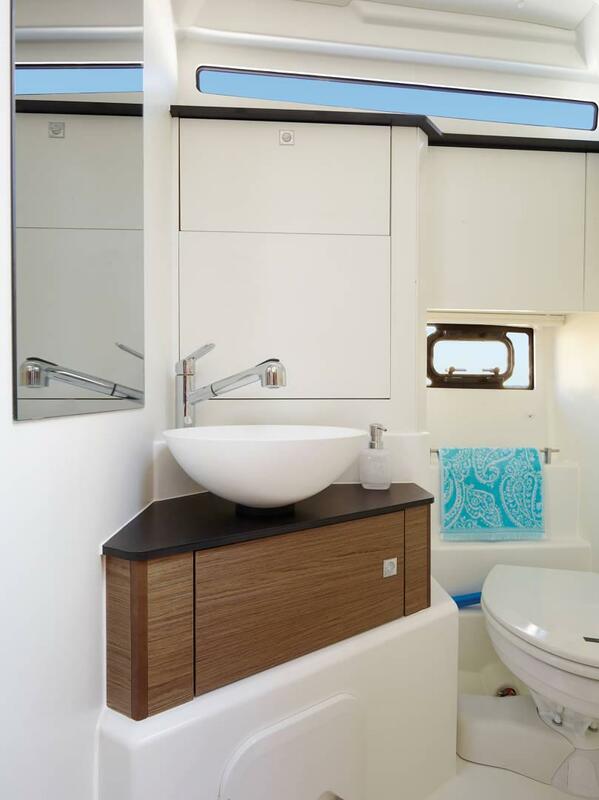 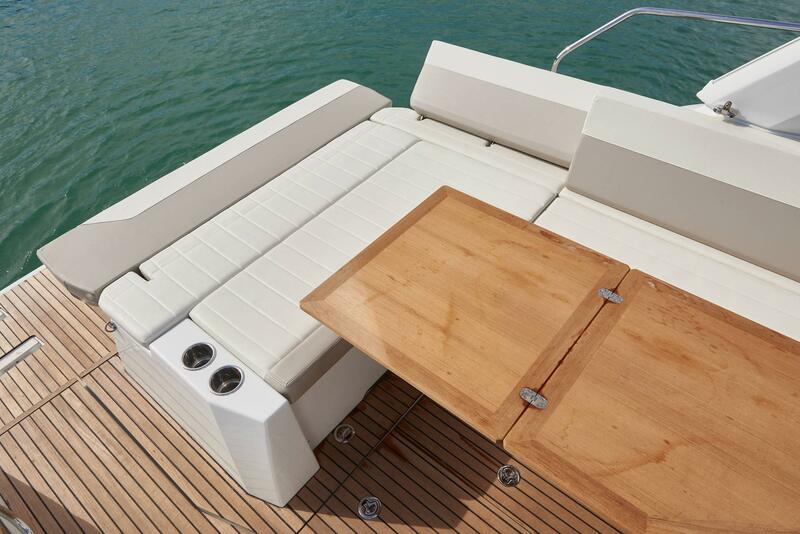 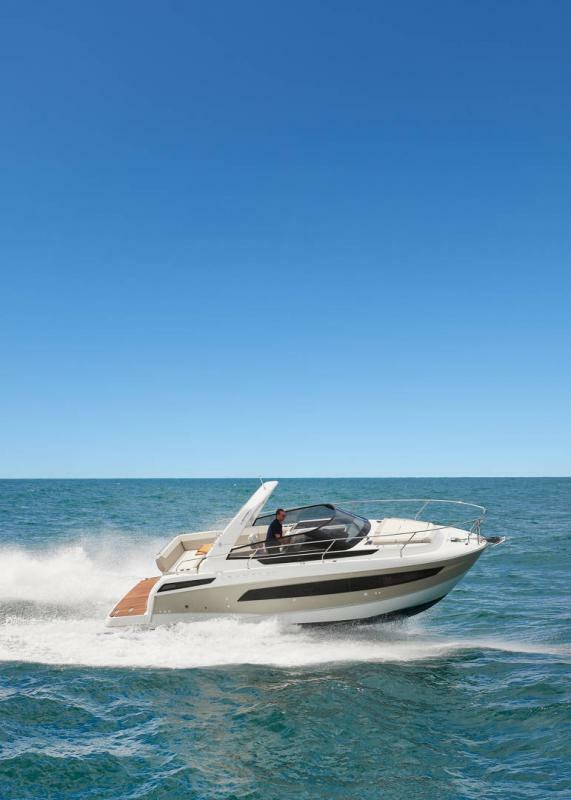 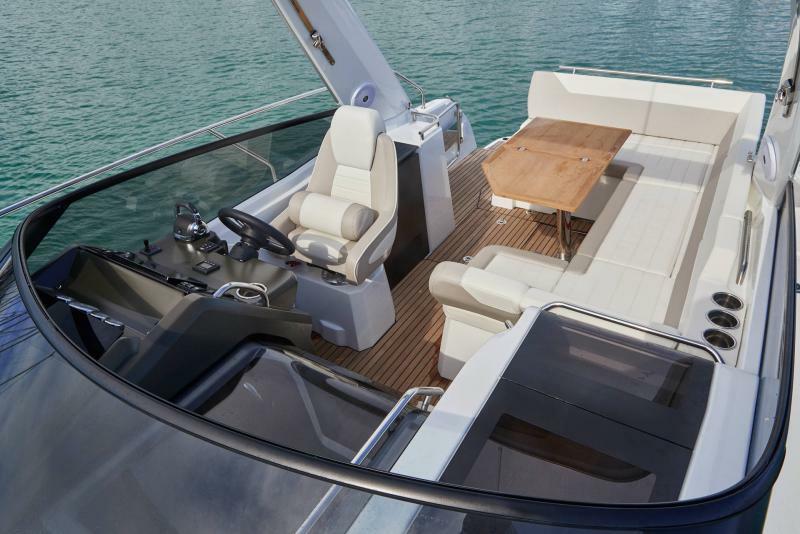 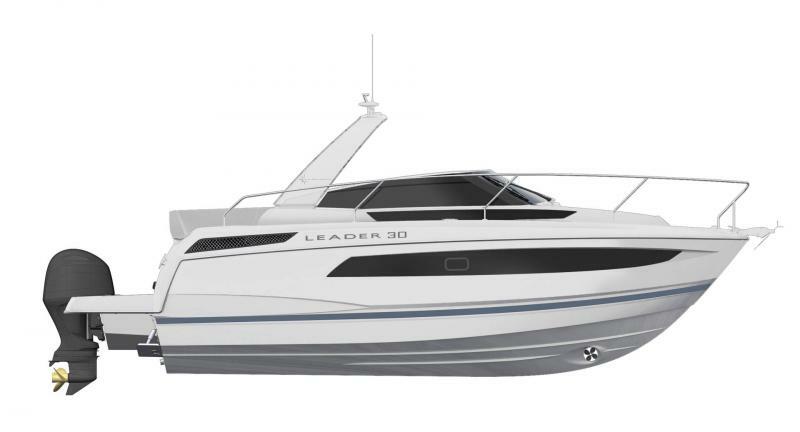 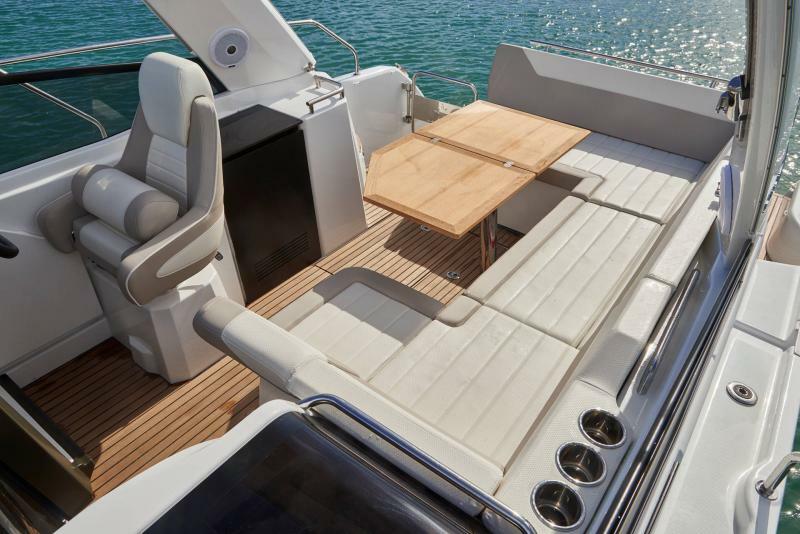 With her high quality fit and finish, the Leader 30 features an elegant interior, with bulkheads in (optional) Straight-Grain Walnut, (optional) lacquer finish on furniture, a large starboard-side hanging locker, and copious storage (optional wall cabinets). 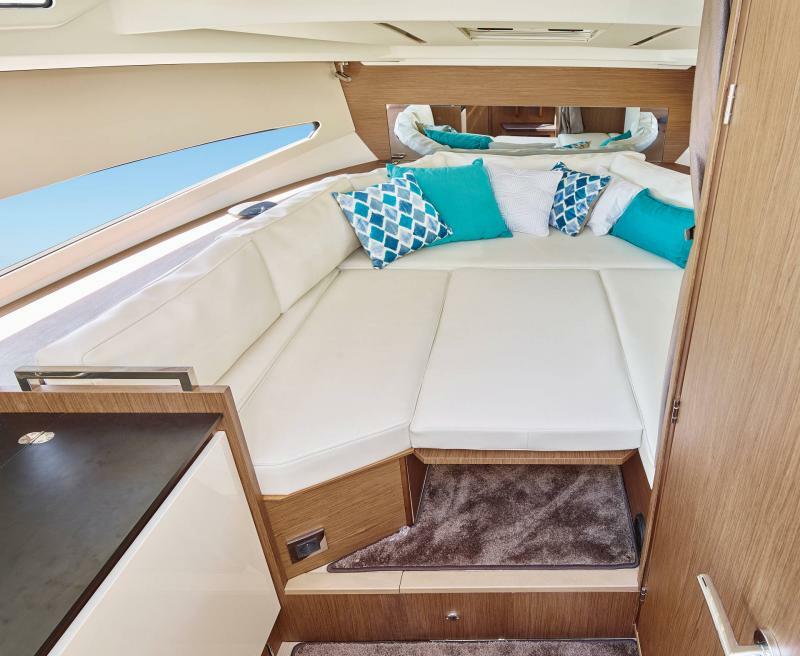 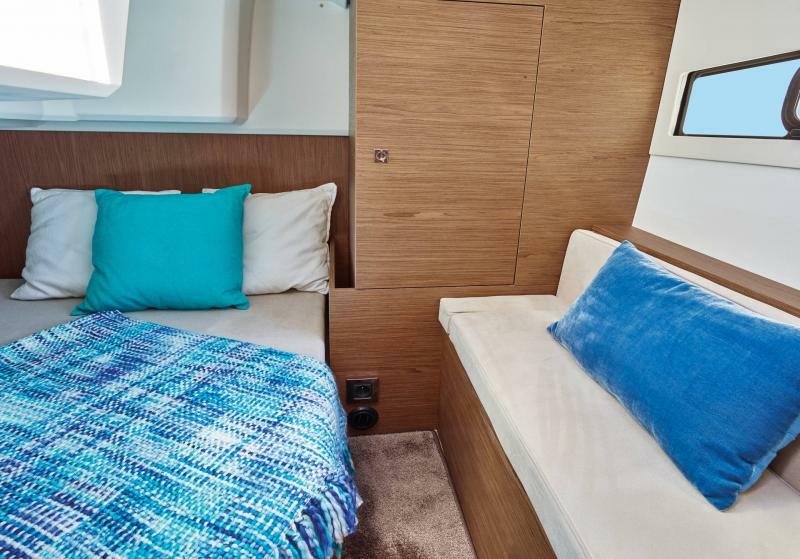 Last but not least, the saloon transforms into a double berth.